Following Anne of Green Gables (1908), this book was written by Lucy Maud Montgomery in 1909. From the age of 16 to 18, Anne is about to start her first term teaching at the Avonlea school. The book soon introduces Anne's new and problematic neighbor, Mr. Harrison, and his foul-mouthed parrot, as well as the twins, Davy and Dora. Other characters introduced are some of Anne's new pupils and Miss Lavendar Lewis, a sweet but lonely lady. This book sees Anne maturing slightly, even though she still cannot avoid getting into a number of her familiar scrapes, as only Anne can - some of which include selling her neighbor's cow (having mistaken it for her own), or getting stuck in a broken duck house roof while peeping into a pantry window. Featuring the voices of Amanda Friday, Elizabeth Klett, David Stifel, Tiffany Halla Colonna, Maureen Boutilier, Grace Keller Scotch, Jeff Moon, Marie Hoffman, P.J. Morgan, Ted Wenskus, Tomas Peter, Andy Harrington, Becca Maggie, and Ben Stevens. I love the stories of Anne Shirley and this is no exception. 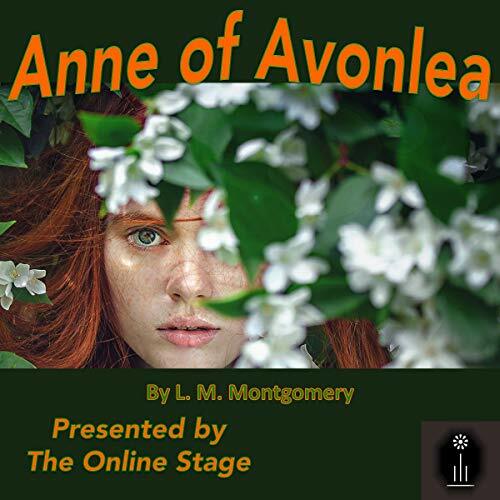 Anne is a charming and disarming orphan who was adopted by Marilla and Matthew Cuthbert, brother and sister, neither of whom had ever married. She has an optimistic view of life, despite the hardships she faced from her infancy. Her coping mechanism was escaping into a world of imagination, where she often acted according to how she imagined things to be, much more interesting or fanciful, than they really were. This was the first time I had listened to a dramatic reading of a book and it took a bit of getting used to. I noticed it sounded a but glitchy at the beginning but I either got used to it, or it stopped happening. Some of the characters’ voices seemed a little immature for the ages that they were supposed to be. Some tended to sound a little whiny, but overall it was well done. I would still recommend this version.